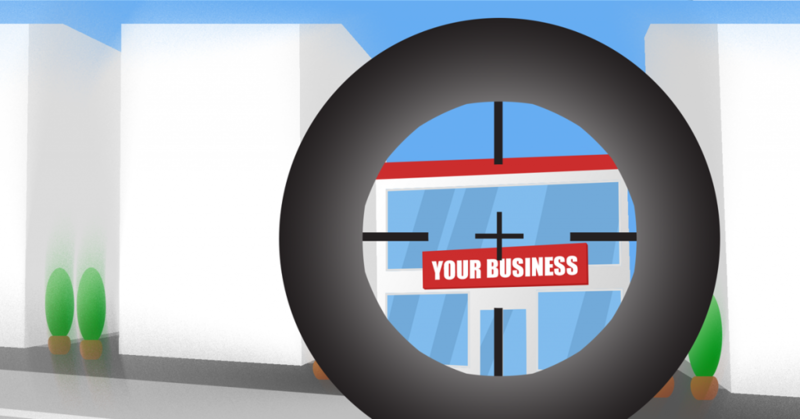 Hackers today have many ways to attack small businesses and business owners. Many attempt to use technology to send malware, viruses, or phishing attacks; or use information to con owners and employees into handing over more information than they should. One or more of these techniques can be combined with gaining physical access to steal from vulnerable firms. Identifying precisely how criminals target businesses and what they deem most valuable can help to protect from the most devastating attacks out there. Remaining vigilant and informed is one of the most vital things you can do as a business owner to protect your assets and reputation. Different types of attacks tend to rise and fall in popularity. Fifteen years ago, computer worms were the most common attack that businesses faced. Security software wasn’t as advanced or as widely used at it is today. Computer worms were, at the time, an exceptionally low-cost and efficient way to inflict the maximum amount of damage for minimum cost. Today ransomware has seen an unfortunate boom in popularity. This technology aims to encrypt the target’s files on their personal computer. This technique denies the victim access and charges a large fee in exchange for the key to retrieve the victimâ€™s own data. The attack has worked so often because it requires minimal effort and can be used again and again. Many businesses have no option but to pay because the data is worth far more than the ransom demand the hackers have made. The best defense against ransomware attacks, in addition to strong online security, is an up-to-date offsite backup â€” one that is tested to work reliably. One of the most important things for your firm to take care of is your customer data records. Records which include names, dates of birth, and other personally identifying details. These details are extremely valuable to hackers or criminals who, either use them personally or sell them on to someone who will. Many regions have strict laws and guidelines about how this information must be stored, accessed and protected. Failing to follow these can result in severe penalties that could devastate any company. Like personal information, a small business must take extreme care when storing customer financial information. Sensitive details such as credit card or banking information are a key target for hackers looking to steal money fast. The impact on your business reputation following a breach of financial data will be severe and devastating. Even a simple mistake can require years of advertising and great PR to repair. Many firms have failed to recover after losing the trust of their customers. Most firms today run good IT security packages to protect against online attacks and other forms of malware. Attackers often know to take their methods offline to achieve the best results. Whether posing as a supplier, customer, or interested party; attackers can seek to gain information that you may be less than willing to hand over to a stranger. Small businesses can often be used to gather information on vendors and suppliers they do business with in order to attack them too. Be particularly cautious of the information you provide when discussing business with individuals you haven’t spoken to before. Each of these targets and attacks are just some of the most popular and hard-hitting attacks out there now. The list is forever changing, and the methods we use to protect against them always needs to change too. Some can be defended against with great security, backups, and software. Others, such as social engineering, need you and your staff to stay up-to-date and remain vigilant about the major attacks affecting small business today. If you need help tightening your businesses security, give us a call at 570-779-4018.